What happens when images, sport and fashion collide? 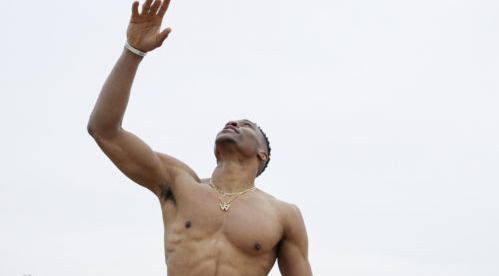 Magic, apparently, or at least when it’s Jurgen Teller shooting eight time NBA All-star Russell Westbrook for Acne Studios. 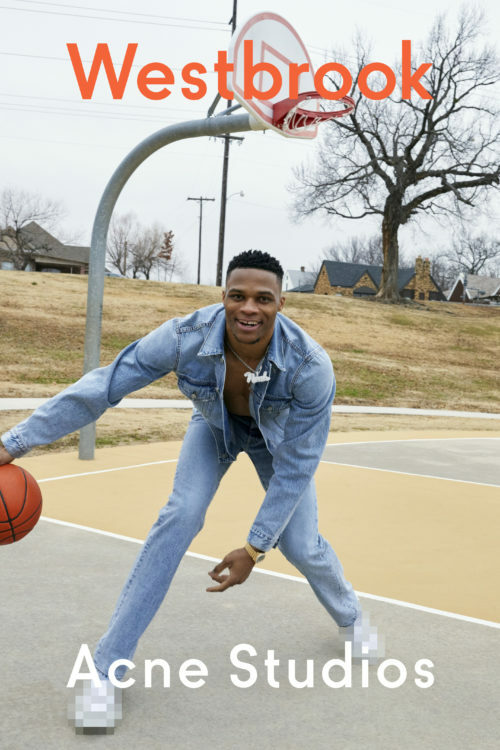 The campaign, lensed by the acclaimed German photographer, is set against Westbrook’s stomping ground of Oklahoma (where he’s a two time MVP) and was conceived to spotlight Acne Studios’ SS19 denim range. 2019 has already been a big year for Acne Studios. Their recent menswear and ready-to-wear collections at Paris Fashion Week burst with an essence of youthfulness and zeal for experimentation—patchworked gilets, oversized pants, rectangle bras, vibrant furs and bold colours were in abundance—something somewhat unexpected but welcomed from Acne Studios. The passing of time and its lasting affect on fashion seems to be something that the Swedish brand are embracing and exuding in their pieces this year. 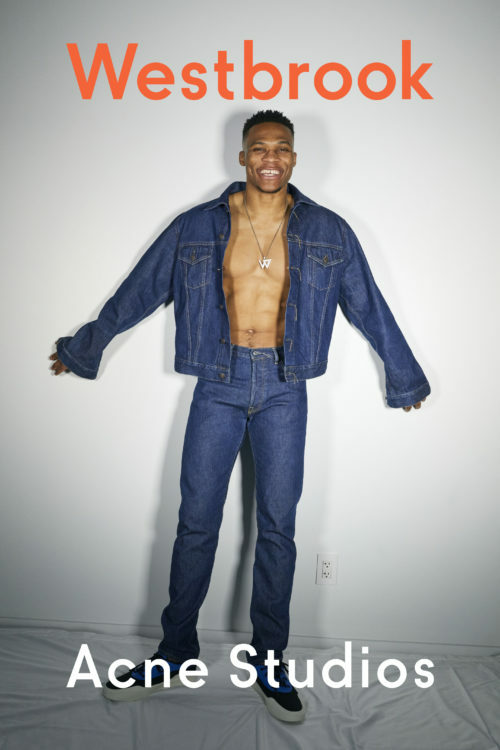 And with the Teller-shot campaign going live today, we see Acne Studios go back in time and return to its roots for a denim collection embodying the same unique and enduring spirit as their first jeans over twenty years ago. 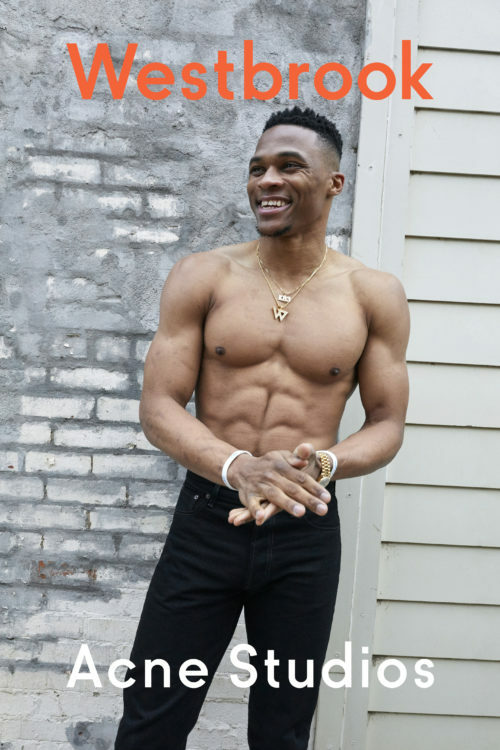 The candid images, shot both on and off-court, are incontrovertible proof that good things come to those who collaborate. Get a first look at the campaign below.